Francis began preaching around 1207 and traveled to Rome to seek approval from Pope Innocent III in 1209 to form a new religious order. The original Rule of Saint Francis approved by the Pope disallowed ownership of property, requiring members of the order to beg for food while preaching. The austerity was meant to emulate the life and ministry of Jesus Christ. Franciscans traveled and preached in the streets, while boarding in church properties. 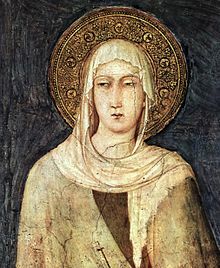 Saint Clare, under Francis's guidance, founded the Poor Clares (Order of Saint Clare) in 1212, which remains a Second Order of the Franciscans. The extreme poverty required of members was relaxed in the final revision of the Rule in 1223. The degree of observance required of members remained a major source of conflict within the order, resulting in numerous secessions. The Order of Friars Minor, previously known as the "Observant" branch, is one of the three Franciscan First Orders within the Catholic Church, the others being the "Conventuals" (formed 1517) and "Capuchins" (1520). The Order of Friars Minor, in its current form, is the result of an amalgamation of several smaller orders completed in 1897 by Pope Leo XIII. The latter two, the Capuchin and Conventual, remain distinct religious institutes within the Catholic Church, observing the Rule of Saint Francis with different emphases. Conventual Franciscans are sometimes referred to as minorites or greyfriars because of their habit. In Poland and Lithuania they are known as Bernardines, after Bernardino of Siena, although the term elsewhere refers to Cistercians instead. The name of the original order, Ordo Fratrum Minorum (Friars Minor, literally 'Order of Lesser Brothers') stems from Francis of Assisi's rejection of extravagance. Francis was the son of a wealthy cloth merchant, but gave up his wealth to pursue his faith more fully. He had cut all ties that remained with his family, and pursued a life living in solidarity with his fellow brothers in Christ. Francis adopted the simple tunic worn by peasants as the religious habit for his order, and had others who wished to join him do the same. Those who joined him became the original Order of Friars Minor. The modern organization of the Friars Minor comprises three separate families or groups, each considered a religious order in its own right under its own minister General and particular type of governance. They all live according to a body of regulations known as the Rule of St Francis. The First Order or the Order of Friars Minor are commonly called simply the Franciscans. This order is a mendicant religious order of men, some of whom trace their origin to Francis of Assisi. Their official Latin name is the Ordo Fratrum Minorum. St. Francis thus referred to his followers as "Fraticelli", meaning "Little Brothers". Franciscan brothers are informally called friars or the Minorites. The Order of Friars Minor, also known as the Observants, are most commonly simply called Franciscan friars, official name: Friars Minor (OFM). The Order of Friars Minor Capuchin or simply Capuchins, official name: Friars Minor Capuchin (OFM Cap.). The Conventual Franciscans or Minorites, official name: Friars Minor Conventual" (OFM Conv.). The Second Order, most commonly called Poor Clares in English-speaking countries, consists of religious sisters. The order is called the Order of St. Clare (OSC), but in the thirteenth century, prior to 1263, this order was referred to as "The Poor Ladies", "The Poor Enclosed Nuns", and "The Order of San Damiano". The 2013 Annuario Pontificio gave the following figures for the membership of the principal male Franciscan orders:. The coat of arms that is a universal symbol of Franciscans "contains the Tau cross, with two crossed arms: Christ’s right hand with the nail wound and Francis’ left hand with the stigmata wound." A sermon Francis heard in 1209 on Mt 10:9 made such an impression on him that he decided to devote himself wholly to a life of apostolic poverty. Clad in a rough garment, barefoot, and, after the Evangelical precept, without staff or scrip, he began to preach repentance. In spite of some similarities between this principle and some of the fundamental ideas of the followers of Peter Waldo, the brotherhood of Assisi succeeded in gaining the approval of Pope Innocent III. What seems to have impressed first the Bishop of Assisi, Guido, then Cardinal Giovanni di San Paolo and finally Innocent himself, was their utter loyalty to the Church and the clergy. Innocent III was not only the pope reigning during the life of St. Francis of Assisi, but he was also responsible for helping to construct the church Francis was being called to rebuild. Innocent III and the Fourth Lateran Council helped maintain the church in Europe. Innocent probably saw in them a possible answer to his desire for an orthodox preaching force to counter heresy. Many legends have clustered around the decisive audience of Francis with the pope. The realistic account in Matthew Paris, according to which the pope originally sent the shabby saint off to keep swine, and only recognized his real worth by his ready obedience, has, in spite of its improbability, a certain historical interest, since it shows the natural antipathy of the older Benedictine monasticism to the plebeian mendicant orders. The group was tonsured and Francis was ordained as a deacon, allowing him to proclaim Gospel passages and preach in churches during Mass. In the external successes of the brothers, as they were reported at the yearly general chapters, there was much to encourage Francis. Caesarius of Speyer [de], the first German provincial, a zealous advocate of the founder's strict principle of poverty, began in 1221 from Augsburg, with twenty-five companions, to win for the Order the land watered by the Rhine and the Danube. In 1224 Agnellus of Pisa led a small group of friars to England. The branch of the Order arriving in England became known as the "greyfriars". Beginning at Greyfriars at Canterbury, the ecclesiastical capital, they moved on to London, the political capital, and Oxford, the intellectual capital. From these three bases the Franciscans swiftly expanded to embrace the principal towns of England. The controversy about how to follow the Gospel life of poverty, which extends through the first three centuries of Franciscan history, began in the lifetime of the founder. The ascetic brothers Matthew of Narni and Gregory of Naples, a nephew of Ugolino,[clarification needed] the two vicars-general to whom Francis had entrusted the direction of the order during his absence, carried through at a chapter which they held certain stricter regulations in regard to fasting and the reception of alms, which really departed from the spirit of the original rule. It did not take Francis long, on his return, to suppress this insubordinate tendency but he was less successful in regard to another of an opposite nature which soon came up. Elias of Cortona originated a movement for the increase of the worldly consideration of the Order and the adaptation of its system to the plans of the hierarchy which conflicted with the original notions of the founder and helped to bring about the successive changes in the rule already described. Francis was not alone in opposition to this lax and secularizing tendency. On the contrary, the party which clung to his original views and after his death took his "Testament" for their guide, known as Observantists or Zelanti, was at least equal in numbers and activity to the followers of Elias. The conflict between the two lasted many years and the Zelanti won several notable victories in spite of the favor shown to their opponents by the papal administration, until finally the reconciliation of the two points of view was seen to be impossible and the order was actually split into halves. After an intense apostolic activity in Italy, in 1219 Francis went to Egypt with the Fifth Crusade to announce the Gospel to the Saracens. He met with the Sultan Malik al-Kamil, initiating a spirit of dialogue and understanding between Christianity and Islam. The Franciscan presence in the Holy Land started in 1217, when the province of Syria was established, with Brother Elias as Minister. By 1229 the friars had a small house near the fifth station of the Via Dolorosa. In 1272 sultan Baibars allowed the Franciscans to settle in the Cenacle on Mount Zion. Later on, in 1309, they also settled in the Holy Sepulchre and in Bethlehem. In 1335 the king of Naples Robert of Anjou (Italian: Roberto d'Angiò) and his wife Sancha of Majorca (Italian: Sancia di Maiorca) bought the Cenacle and gave it to the Franciscans. Pope Clement VI by the Bulls "Gratias agimus" and "Nuper charissimae" (1342) declared the Franciscans as the official custodians of the Holy Places in the name of the Catholic Church. The Franciscan Custody of the Holy Land is still in force today. A few years later a new controversy, this time theoretical, broke out on the question of poverty. In his 14 August 1279 bull Exiit qui seminat, Pope Nicholas III had confirmed the arrangement already established by Pope Innocent IV, by which all property given to the Franciscans was vested in the Holy See, which granted the friars the mere use of it. The bull declared that renunciation of ownership of all things "both individually but also in common, for God's sake, is meritorious and holy; Christ, also, showing the way of perfection, taught it by word and confirmed it by example, and the first founders of the Church militant, as they had drawn it from the fountainhead itself, distributed it through the channels of their teaching and life to those wishing to live perfectly." Although Exiit qui seminat banned disputing about its contents, the decades that followed saw increasingly bitter disputes about the form of poverty to be observed by Franciscans, with the Spirituals (so called because associated with the Age of the Spirit that Joachim of Fiore had said would begin in 1260) pitched against the Conventual Franciscans. Pope Clement V's bull Exivi de Paradiso of 20 November 1312 failed to effect a compromise between the two factions. Clement V's successor, Pope John XXII was determined to suppress what he considered to be the excesses of the Spirituals, who contended eagerly for the view that Christ and his apostles had possessed absolutely nothing, either separately or jointly, and who were citing Exiit qui seminat in support of their view. In 1317, John XXII formally condemned the group of them known as the Fraticelli. On 26 March 1322, with Quia nonnunquam, he removed the ban on discussion of Nicholas III's bull and commissioned experts to examine the idea of poverty based on belief that Christ and the apostles owned nothing. The experts disagreed among themselves, but the majority condemned the idea on the grounds that it would condemn the Church's right to have possessions. The Franciscan chapter held in Perugia in May 1322 declared on the contrary: "To say or assert that Christ, in showing the way of perfection, and the Apostles, in following that way and setting an example to others who wished to lead the perfect life, possessed nothing either severally or in common, either by right of ownership and dominium or by personal right, we corporately and unanimously declare to be not heretical, but true and catholic." By the bull Ad conditorem canonum of 8 December 1322, John XXII, declaring it ridiculous to pretend that every scrap of food given to the friars and eaten by them belonged to the pope, refused to accept ownership over the goods of the Franciscans in the future and granted them exemption from the rule that absolutely forbade ownership of anything even in common, thus forcing them to accept ownership. And, on 12 November 1323, he issued the short bull Quum inter nonnullos which declared "erroneous and heretical" the doctrine that Christ and his apostles had no possessions whatever. John XXII's actions thus demolished the fictitious structure that gave the appearance of absolute poverty to the life of the Franciscan friars. 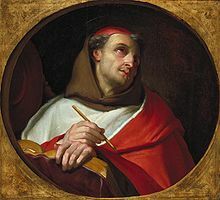 Influential members of the order protested, such as the minister general Michael of Cesena, the English provincial William of Ockham, and Bonagratia of Bergamo. In 1324, Louis the Bavarian sided with the Spirituals and accused the pope of heresy. 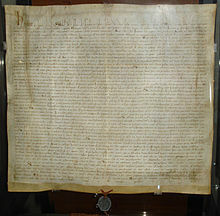 In reply to the argument of his opponents that Nicholas III's bull Exiit qui seminat was fixed and irrevocable, John XXII issued the bull Quia quorundam on 10 November 1324 in which he declared that it cannot be inferred from the words of the 1279 bull that Christ and the apostles had nothing, adding: "Indeed, it can be inferred rather that the Gospel life lived by Christ and the Apostles did not exclude some possessions in common, since living 'without property' does not require that those living thus should have nothing in common." In 1328, Michael of Cesena was summoned to Avignon to explain the Order's intransigence in refusing the pope's orders and its complicity with Louis of Bavaria. Michael was imprisoned in Avignon, together with Francesco d'Ascoli, Bonagratia, and William of Ockham. In January of that year Louis of Bavaria entered Rome and had himself crowned emperor. Three months later he declared John XXII deposed and installed the Spiritual Franciscan Pietro Rainalducci as antipope. The Franciscan chapter that opened in Bologna on 28 May reelected Michael of Cesena, who two days before had escaped with his companions from Avignon. But in August Louis the Bavarian and his pope had to flee Rome before an attack by Robert, King of Naples. Only a small part of the Franciscan Order joined the opponents of John XXII, and at a general chapter held in Paris in 1329 the majority of all the houses declared their submission to the Pope. With the bull Quia vir reprobus of 16 November 1329, John XXII replied to Michael of Cesena's attacks on Ad conditorem canonum, Quum inter nonnullos, and Quia quorundam. In 1330, Antipope Nicholas V submitted, followed later by the ex-general Michael, and finally, just before his death, by Ockham. All of the groups that followed the Franciscan Rule literally were united to the Observants, and the right to elect the Minister General of the Order, together with the seal of the Order, was given to this united grouping.[when?] This grouping, since it adhered more closely to the rule of the founder, was allowed to claim a certain superiority over the Conventuals. The Observant general (elected now for six years, not for life) inherited the title of "Minister-General of the Whole Order of St. Francis" and was granted the right to confirm the choice of a head for the Conventuals, who was known as "Master-General of the Friars Minor Conventual"—although this privilege never became practically operative. About 1236, Pope Gregory IX appointed the Franciscans, along with the Dominicans, as Inquisitors. The Franciscans had been involved in anti-heretical activities from the beginning simply by preaching and acting as living examples of the Gospel life. As official Inquisitors, they were authorized to use torture to extract confessions, as approved by Innocent IV in 1252. The Franciscans were involved in the torture and trials of heretics and witches throughout the Middle Ages and wrote their own manuals to guide Inquisitors, such as the 14th century Codex Casanatensis for use by Inquisitors in Tuscany. The Order of Friars Minor has 1,500 houses in about 100 provinces and Custodiae, with about 16,000 members. In 1897 distinctions between the Observants, Discalced (Alcantarines), Recollects, and Riformati were dissolved by Pope Leo XIII and they were joined under general constitutions. The Capuchins and Conventuals wanted the reunited Observants to be referred to as The Order of Friars Minor of the Leonine Union. Instead they were called simply the Order of Friars Minor. Despite the tensions caused by this forced union the Order grew from 1897 to reach a peak of 26,000 members in the 1960s before declining from the 1970s onwards. The Order is headed by a Minister General, who from 2003 was Father José Rodríguez Carballo. However, on Saturday, 6 April 2013, Pope Francis, in his first appointment to a senior post in the Roman Curia, appointed Father Carballo as Titular Archbishop of Belcastro and Secretary, or deputy superior, of the Congregation for Institutes of Consecrated Life and Societies of Apostolic Life (the Congregation for Religious). The vacancy this created in the Order was resolved when Father Michael Anthony Perry was elected as Minister General on May 2013 and the appointment confirmed by Pope Francis. . The Order of Friars Minor Capuchin are the youngest branch of Franciscans, founded in 1525 by Matteo Serafini (Matteo Bassi, Matteo da Bascio), an Observant friar, who felt himself called to an even stricter observance of Franciscan austerity to be closer to the original intentions of St. Francis. Thanks to the support of the Papal Court the new branch received early recognition and grew fast, first in Italy and after 1574 all over Europe and throughout the world. After many tribulations, the Capuchins became a separate order in 1619. The name Capuchins refers to the particular shape of the long hood or capuce; originally a popular nickname, it has become a part of the official name of the Order, which now exists in 106 countries all over the world, with around 10,500 brothers living in more than 1700 communities (fraternities, friaries). The Poor Clares, officially the Order of Saint Clare, are members of a contemplative order of nuns in the Catholic Church. The Poor Clares were the second Franciscan order to be established. Founded by Saints Clare of Assisi and Francis of Assisi on Palm Sunday in the year 1212, they were organized after the Order of Friars Minor (the first order), and before the Third Order of Saint Francis. As of 2011 there were over 20,000 Poor Clare nuns in over 75 countries throughout the world. They follow several different observances and are organized into federations. Among the men, the Third Order Regular of St. Francis of Penance was formed in 1447 by a papal decree that united several communities of hermits following the Third Order Rule into a single Order with its own Minister General. Today it is an international community of friars who desire to emphasize the works of mercy and on-going conversion. The community is also known as the Franciscan Friars, TOR, and they strive to "rebuild the Church" in areas of high school and college education, parish ministry, church renewal, social justice, campus ministry, hospital chaplaincies, foreign missions, and other ministries in places where the Church is needed. The Regular Tertiaries, officially the Third Order Regular of St. Francis of Penance, who operate the Franciscan University of Steubenville, follow a rule approved by Pope Leo X. Today this group is present in 17 countries: Italy, Croatia, Spain, France, Germany, Austria, USA, India, Sri Lanka, South Africa, Brazil, Paraguay, Mexico, Peru, Sweden, Bangladesh, and the Philippines. Franciscans International is a Non-governmental organization (NGO) with General Consultative status at the United Nations, uniting the voices of Franciscan brothers and sisters from around the world. It operates under the sponsorship of the Conference of the Franciscan Family (CFF) and serves all Franciscans and the global community by bringing grassroots Franciscans to the United Nations forums in New York City and Geneva. It brings the spiritual and ethical values of the Franciscans to the United Nations and international organisations. There is also an order of Sisters of St. Clare in the Puget Sound area of Washington State (Diocese of Olympia), the Little Sisters of St. Clare. There are also some small Franciscan communities within European Protestantism and the Old Catholic Church. There are some Franciscan orders in Lutheran Churches, including the Order of Lutheran Franciscans, the Evangelical Sisterhood of Mary, and the Evangelische Kanaan Franziskus-Bruderschaft (Kanaan Franciscan Brothers). In addition, there are associations of Franciscan inspiration not connected with a mainstream Christian tradition and describing themselves as ecumenical or dispersed. Franciscan theology conforms to broader doctrine with the Catholic Church, but involves several unique emphases. Franciscan theologians view creation, the natural world, as good and joyous, and avoid dwelling on the "stain of original sin." Saint Francis expressed great affection towards animals and inanimate natural objects as fellow inhabitants of God's creation, in his work Canticle of the Creatures. Special emphasis is put on the Incarnation of Christ viewed as a special act of humility, as Francis was struck by God's great charity in sacrificing his son for the salvation of man; they also exhibit great devotion to the Eucharist. The Rule of Saint Francis calls for members to practice simple living and detachment from material possessions in emulation of Jesus' life and earthly ministry. The simple lifestyle helps members of the order, in whichever branch, to experience solidarity with the poor and to work for social justice. Franciscan spirituality also strongly emphasizes working to preserve the Church, and remain loyal to it. Among Catholic religious, Franciscans have proportionally reported higher ratios of stigmata and have claimed proportionally higher ratios of visions of Jesus and Mary. Saint Francis of Assisi himself was one of the very first reported cases of stigmata, and perhaps the most famous stigmatic of modern times is Saint Padre Pio, a Capuchin, who also reported visions of Jesus and Mary. Pio's stigmata persisted for over fifty years and he was examined by numerous physicians in the 20th century, who confirmed the existence of the wounds, but none of whom could produce a medical explanation for the fact that his bleeding wounds would never get infected. According to the Encyclopaedia Britannica, his wounds healed once, but reappeared. According to the Columbia Encyclopedia[better source needed] some medical authorities who examined Padre Pio's wounds were inclined to believe that the stigmata were connected with nervous or cataleptic hysteria. According to Answers.com[better source needed] the wounds were examined by Luigi Romanelli, chief physician of the City Hospital of Barletta, for about one year; Giorgio Festa, a private practitioner who examined them in 1920 and 1925; Giuseppe Bastianelli, a physician to Pope Benedict XV, who agreed that the wounds existed but made no other comment; and pathologist Amico Bignami who also observed the wounds but made no diagnosis. The Franciscans established the Studium Biblicum Franciscanum as an academic society based in Jerusalem and Hong Kong for the study of scripture. 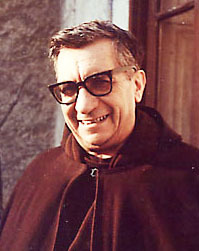 The Hong Kong branch founded by the Blessed Gabriele Allegra produced the first complete translation of the Catholic Bible in Chinese in 1968 after a 40-year effort. The Studium Biblicum Translation is often considered the Chinese Bible among Catholics. During the "spiritual conquest" of New Spain, 1523–1572, the arrival of the first group of Franciscans, the Twelve Apostles of Mexico, included Fray Martín de Valencia, but more prominently for his corpus of writings on the earliest years was Fray Toribio de Benavente Motolinia. Other important Franciscans are Fray Alonso de Molina, Fray Andres de Olmos, and Fray Bernardino de Sahagún, who all created texts in indigenous language of Nahuatl to aid friars in the evangelization of Mexico. Fray Geronimo de Mendieta, Fray Augustin de Vetancourt, and Fray Juan de Torquemada are important contributors to the history of the Franciscans in central Mexico. Bihl, Michael (1913). "Order of Friars Minor" . In Herbermann, Charles (ed.). Catholic Encyclopedia. New York: Robert Appleton Company. Paschal Robinson (1913). "Order of Friars Minor" . In Herbermann, Charles (ed.). Catholic Encyclopedia. New York: Robert Appleton Company. Paschal Robinson (1913). "Franciscan Order" . In Herbermann, Charles (ed.). Catholic Encyclopedia. New York: Robert Appleton Company. Paschal Robinson (1913). "St. Francis of Assisi" . In Herbermann, Charles (ed.). Catholic Encyclopedia. New York: Robert Appleton Company. ^ For example, the OSFOC[permanent dead link]. Halevi, Masha (2012). "Between Faith and Science: Franciscan Archaeology in the Service of the Holy Places". Middle Eastern Studies. 48 (2): 249–267. doi:10.1080/00263206.2012.653139.